I ran into this recipe on glutenfreeda.com for spring rolls. 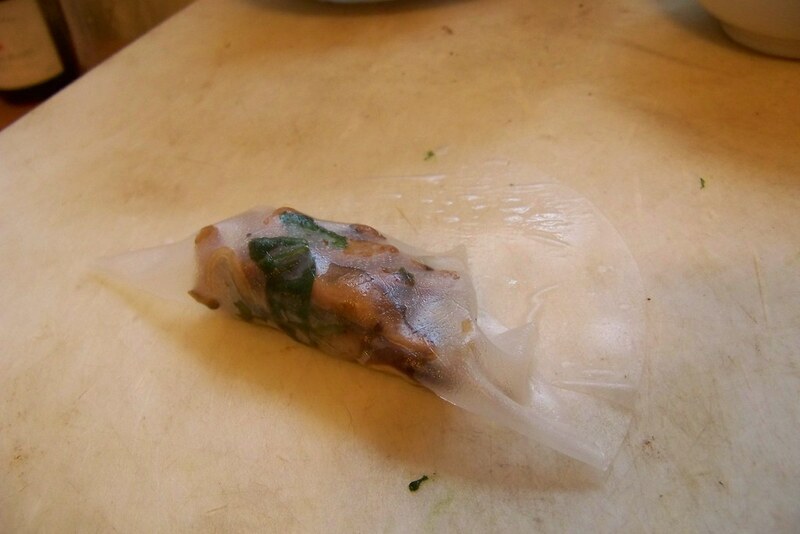 I wasn’t too interested in their filling, but I’ve had rice paper wrappers in my cabinet for a while and have been itching to use them. So I threw together a bunch of stuff I had in the fridge and made some awesome, but very ugly. I think I might make them again with dinner. These can have pretty much whatever you want in them. Combine all ingredients in a saucepan, bring to a boil, then lower to a simmer until almost reduced by half. If it gets too thick when cooled, add a little more water and reheat. 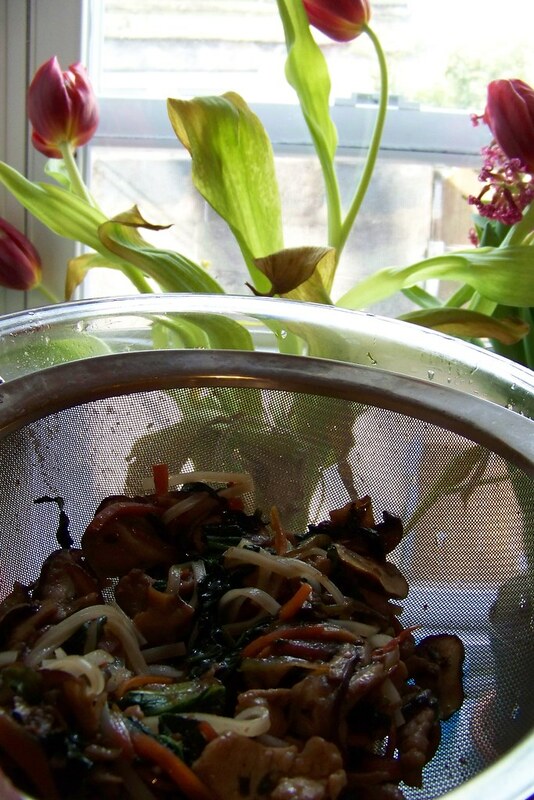 Soak the rice noodles in a bowl of hot water until softened. 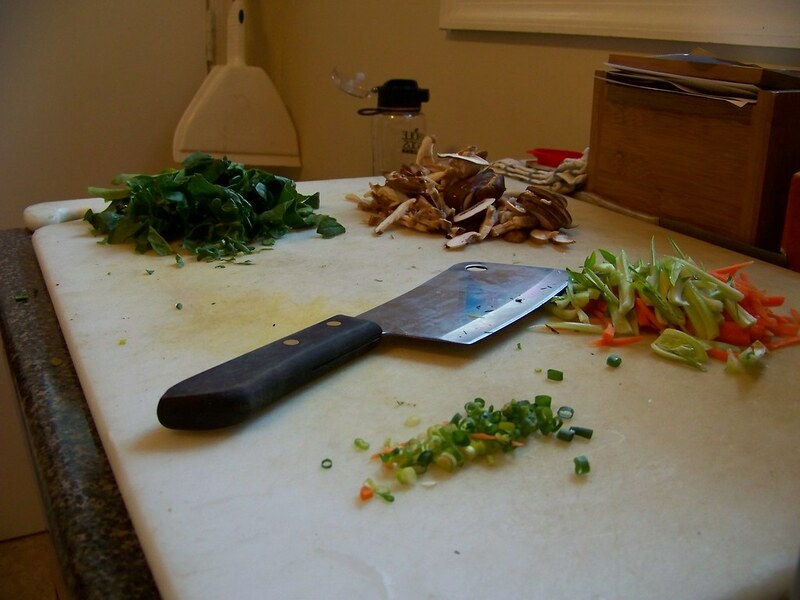 Thinly slice your mushrooms and carrots and put in separate piles. Cut the leaves off the bok choy and set aside, thinly slice the bottoms and add to the carrot pile. Slice the scallions thinly and set aside. Cut the spinach and boy choy leaves into strips. Heat 1 T oil in a pan (wok if you have one). Add the ginger and scallions and cook for a few seconds, then add the pork. Cook until no longer pink on the outside, then add the carrots and bok choy bottoms. Cook together a few minutes, then add the mushrooms. 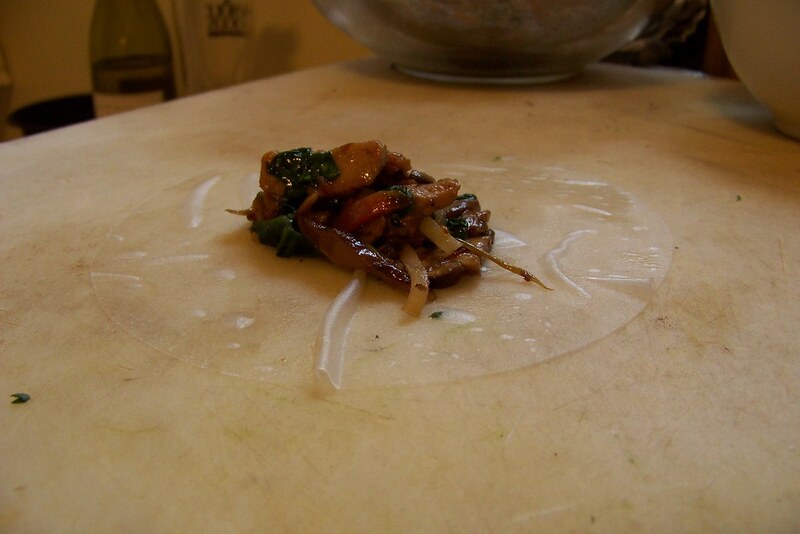 Once those have cooked most of the way through, add the spinach, bok choy leaves, soy sauce, noodles, and mirin. Cook until liquid is mostly gone and greens are wilted. Pour filling into a strainer, and set aside to cool/drain for a few minutes. Once cooled, fill a shallow bowl with hot water. Dip one rice wrapper into the water and hold it there until softened. You will know when it’s ready. 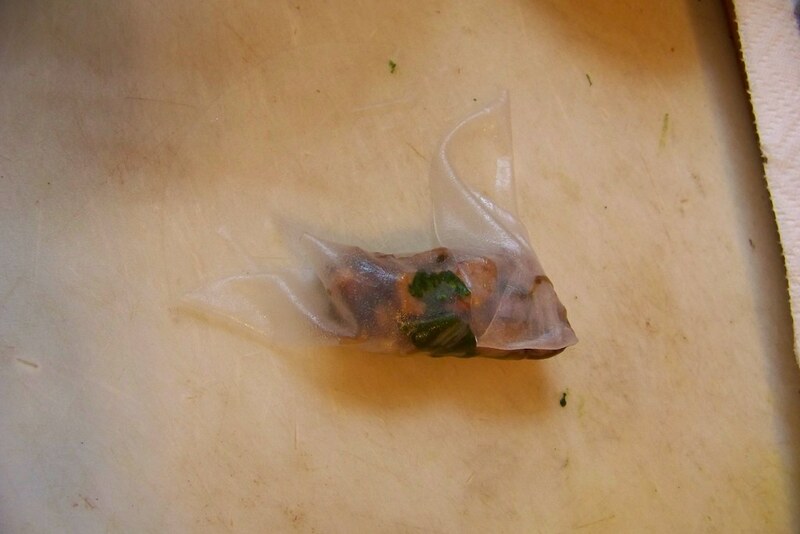 Lay the wrapper carefully on your work surface, and put about a tablespoon of filling in the center. Pull the bottom half up, then fold over the right side and then the left. Squoosh the filling in as tight as you can, wet the last side with egg white, and then fold over. Set aside, and repeat until all the filling is gone. Heat about an inch of oil in a pan, and when shimmering, slowly drop in the first roll. Let fry for a few minutes, then flip, carefully. It will puff up all crazy but don’t worry. That’s why they’re ugly. Once you feel they’re fried enough, drain on a paper towel and repeat. Serve immediately with the dipping sauce. hey! I've made these (but with a different filling) and they're awesome. 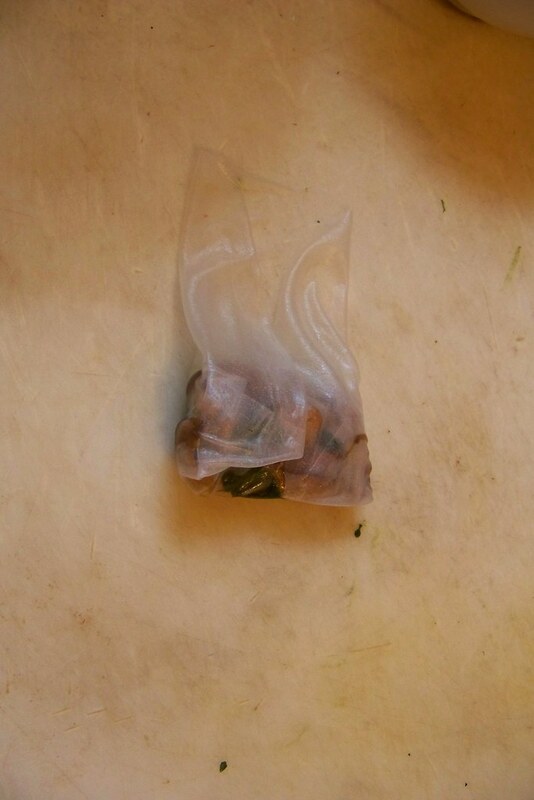 here's what I would suggest: 1. mix a little bit of sugar in with the water that you soak the rice paper wrappers in: this will help them turn brown when you fry them. 2. I didn't need to use any egg white to seal the rolls, and they stayed together fine! dana, you know everything. 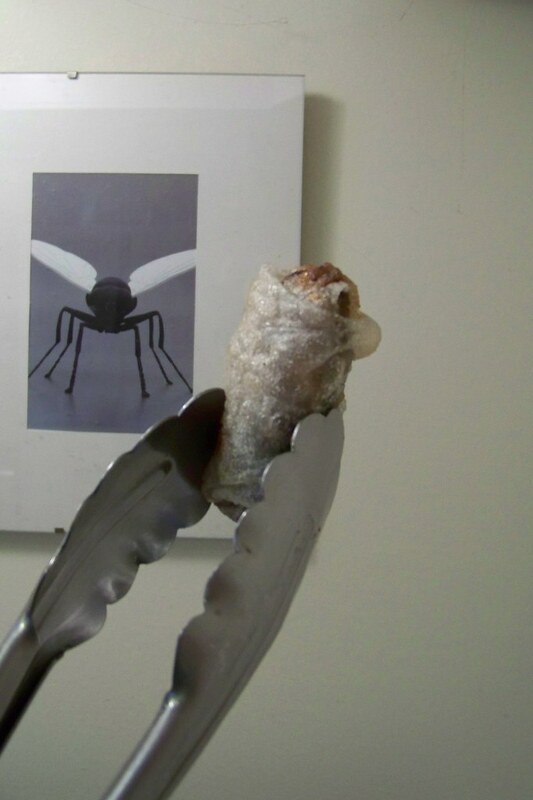 I'm going to make them for dinner tomorrow, I'll let you know what happened. Thanks pal! Yum! Great post, Jill. I think we're on the same wave length; I just posted about fresh spring rolls and linked to your sweet chili sauce recipe. I didn't realize it was so simple to make! Cari- I haven't heard that, but I will look into it. I ate these two days in a row and didn't have any problems, but I'll let you know if I can get in contact with the company. Thanks! Karen- Yes!! It's totally an appropriate time for spring rolls. You know, spring and all. I've been craving fried ones but as I was making them I kept thinking about how great and crisp and springy they'd be if I didn't fry them.